and hair, lots and lots of hair. 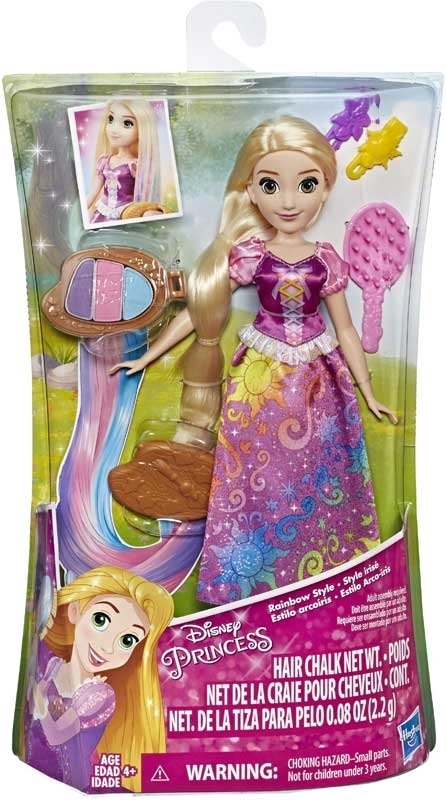 With Rainbow Styles Rapunzel, kids can give her luscious locks a rainbow twist! Take a section of hair, put it in the paint palette-inspired chalk styler at the top of her head, and slide it down her hair. There are 3 chalk colours in the styler -- blue, pink, and purple -- creating a rainbow highlight on her hair. The more applications kids apply, the more vibrant the colour gets. 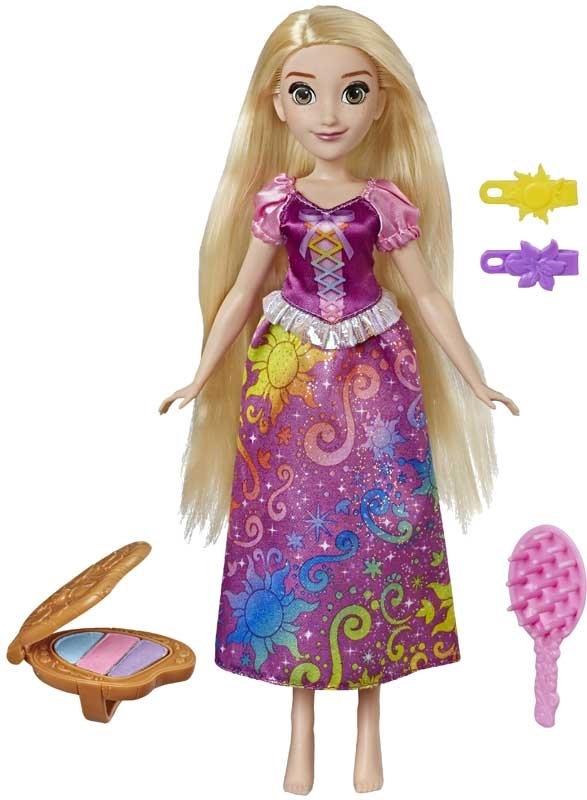 She also comes with 2 hair clips, a brush, and a rainbow-hued dress. 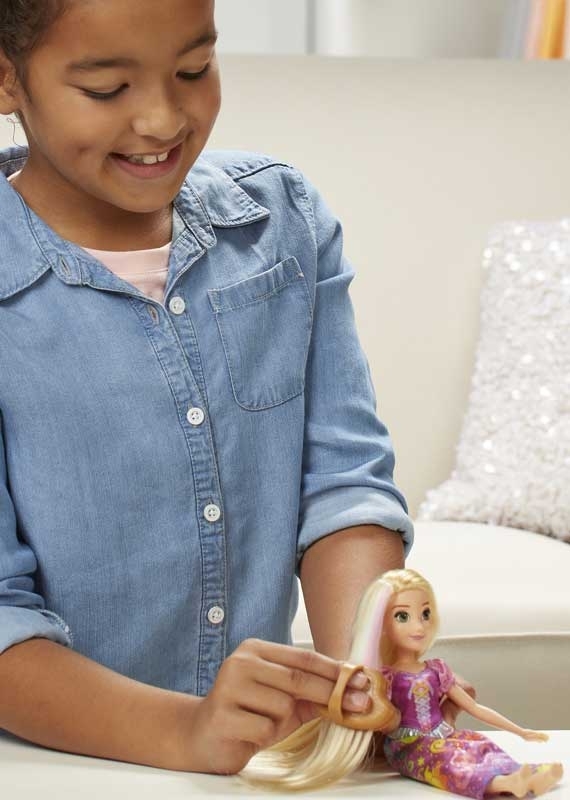 Chalk washes out with water so, when hair dries, kids can play hair styler to their favourite Disney Princess again and again! Note: Hair chalk is intended for the doll only, not for the childs hair. Results vary based on skill, age, and number of applications.